This adds the most posts by a single user in a day to your stats page. This plugin finds the date the mosts posts occured. It then further calculates how many posts the top poster had. Not recommended for very large forums because it can be server intensive. 1) Upload mostposts.php to your /inc/plugins folder. 2) Activate the plugin from your Admin CP. -Please start a thread under Plugin Support because I can't respond to reviews here. Allows users to generate printer-friendly versions of individual posts. 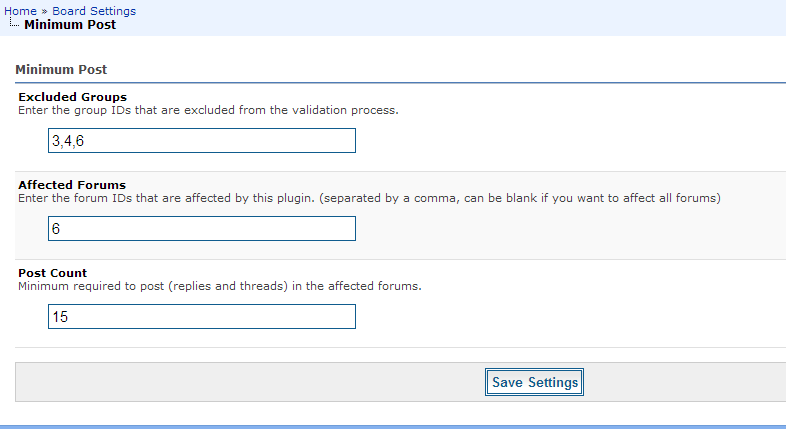 Users require minimum post number to be able to post in certain forums.